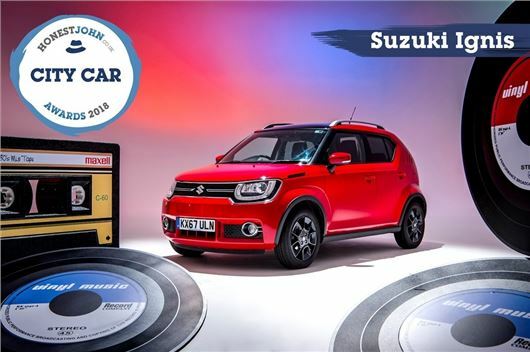 The Suzuki Ignis is the Honest John City Car of the year 2018. The distinctive Suzuki won the popularity stakes with readers praising its value, drive and quirky styling. Capable of carrying four adults in comfort, the Ignis sets new standards for city cars while its high equipment levels mean you don't have to raid the options list to get the best out of it. Dan Powell Managing Editor of HonestJohn.co.uk said: "The Suzuki Ignis is our City Car of the Year and it’s easy to see why. We’ve been watching its popularity grow over the past 12 months and it’s good to see it get the recognition it so obviously deserves."